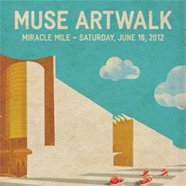 LACMA Art Walk – Saturday, June 16, 11am-8pm. For adults the Museum’s throwing an ArtWalk After Party from 8:30-11:00pm (tickets required). Fusion Fridays at the Pacific Asia Museum (PAM) – Friday, June 15 from 7:30-10:30pm. Japanese Taiko Drummers and family activities in the Huntington’s Japanese Gardens- Saturday, June 16, 9:30-10:30 am. Free Family Flick Back to the Future at the Hammer Museum – Sunday, June 17, 11:00 am (ages 8+). World Builders kids workshop at the Hammer Museum – Sunday, June 17, 12:00-2:00 pm (ages 8-13 yrs). COMING UP: Afghan Kite-making Workshop with kite master Basir Beria at the Fowler, Saturday, June 30, 1:00 – 4:00 pm (adults and teens 13+). Reservations required. Posted in Calendar Picks. Tagged as family activities, kids activities, museum events, things to do in L.A.